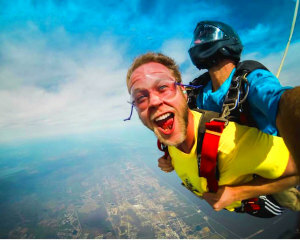 TechTravelAndLife - To travel, is to live. To travel, is to live. 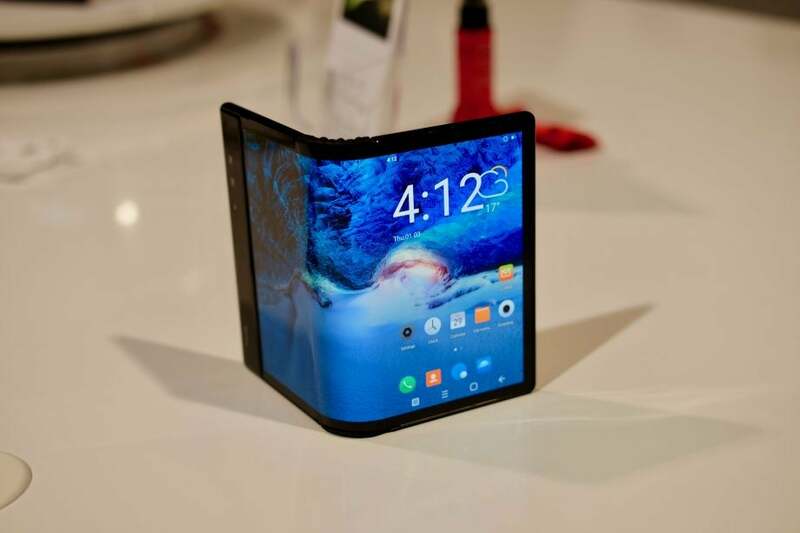 Foldable Smartphones – The much awaited future! Smartphones have evolved drastically over the past two decades. Be it in terms of versatility, connectivity, software, design or display, smartphone technology seems to have surpassed all expectations. With consistent innovation, smartphones have become the main computing device for many. Since their inception, developers have strived to incorporate several features into a single device. The display or the screen is the most significant part of any device. Brands are constantly upgrading phone displays to serve customer needs. 2018 witnessed the phenomenon of shrunken bezels in the mobile industry to provide over 90% screen to body ratio. 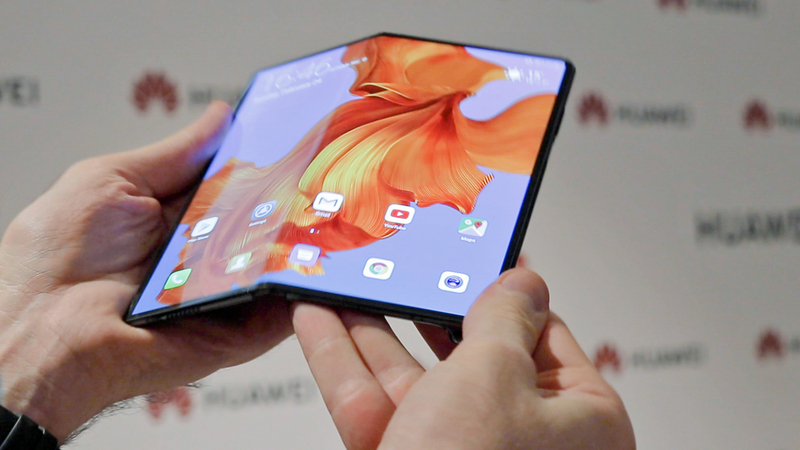 And now, there seems to be another paradigm shift; that of foldable smartphones. Rapid advancement in technology has allowed regular smartphones to make this revolutionary transition to foldable phones. The smartphone industry has made a technological breakthrough with innovating a folding display. Foldable phones might just be our future. Why transition to Foldable Smartphones? These foldable smartphones offer the portability of a phone and the immersive display of a tablet in one device. When folded they resemble your conventional smartphone which can be easily accommodated in your pocket but once unfolded they can expand to a bigger screen giving more working area. They are potentially capable of replacing laptops in the coming years; the tablet market is likely to take a nosedive in the coming years as well. The demand for larger displays has increased rapidly. Foldables have an edge over conventional smartphones as they have the same features but with a tablet-sized display, thereby providing a rich user experience. When unfolded, the huge screen provides a much better user experience. One enjoys movies, videos, and mobile games a lot better on a wider screen. Reading pdf files and novels, navigating maps and browsing become easier. Wider screens allow for more working area, thereby making multi-tasking easier. You can have access to the added productivity of tablets and desktops in the form factor of a phone. Video-editing, web-designing, digital painting seems effortless on tablet-sized displays. Thus, the foldable smartphones could be the preferred choice for designers, architects etc. as well. These devices offer dual/multiple-screen setup. You can simultaneously run two-three apps: You can watch a music video and text someone while doing a google search. You have the benefit of triple screens in one single integrated display (Feature of Galaxy Fold). The smartphone industry seemed to have stagnated somewhere along the run. Innovation had subsided and the newer versions of smartphones seemed like replicas of their contenders. With the new flexible screen technology hitting the market, a whole new product category has emerged extending the boundaries of traditional smartphones. Smartphone technology has witnessed a radical change in the past twenty years. 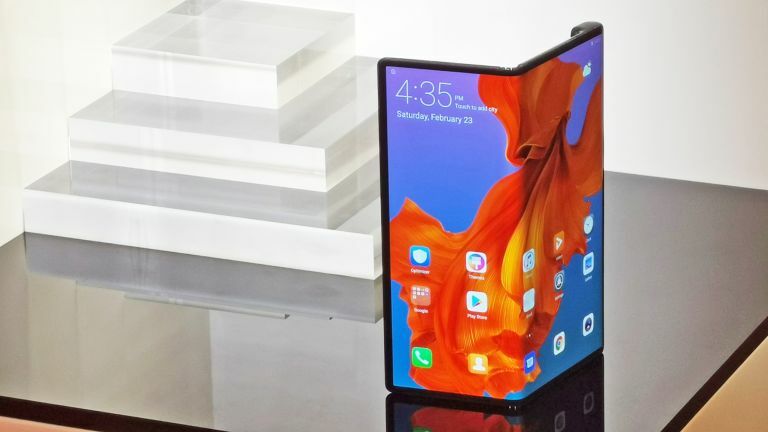 The first-generation foldable smartphones have their own shortcomings. Many investors/developers are pouring a substantial sum of money in developing this technology. However, customers are quite skeptical. It is yet to be ascertained whether these ostensible gadgets of the future are optimally functional and user-friendly or are these just a gimmick. The gorilla glass used in conventional smartphones is a lot more durable. Although, it cannot flex as much as flexible OLEDs and AMOLEDs being used in foldable smartphones. However, it is to be seen if these foldable screens are prone to creases or not. Striations on the display screen can be made evident especially at the hinge. Multiple folding and unfolding might even lead to dead pixels in the screen. All of this needs to be tested after daily use. New designs and form factors are bound to face a few problems. Although the software is built to elegantly transition app activity from one screen to another, its functionality seems questionable. It still cannot be ascertained if the device can be used smoothly or not. These smartphones come at a morbid cost of $2000-$2500 and hence are not economically viable for regular users. It was back in 2014 when Samsung first came up with the prospect of a foldable phone. 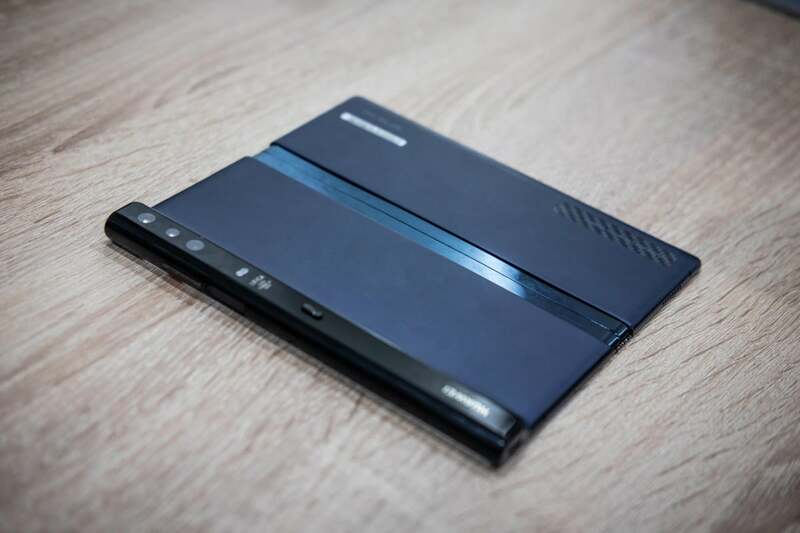 But it was Royole’s FlexPai which bagged the title of the World’s First Foldable Phone when it launched last November. To the dismay of tech-enthusiasts, the handheld turned out to be more of a gimmick. 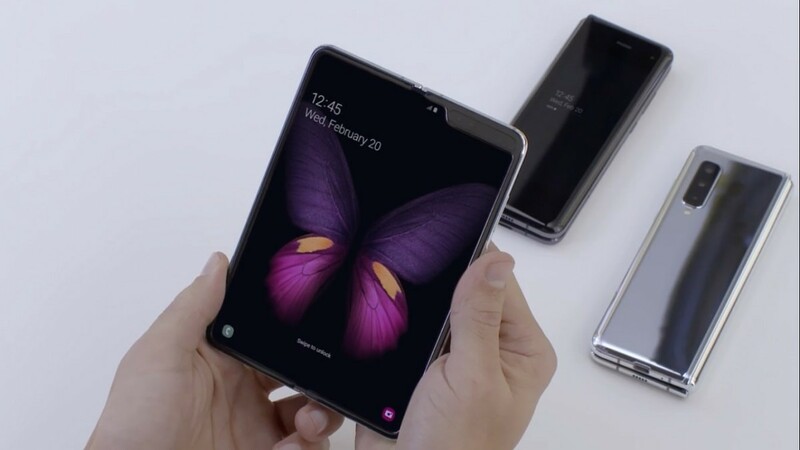 Samsung’s Galaxy Fold made a stunning debut in the foldable smartphone space in February and will hit the stores in April 2019. Unlike the first draft of foldables, Galaxy Fold offers a perfect combo of design and functionality with a great prospect. It offers a 7.3-inch Infinity Flex Display with vivid AMOLED panel which can be seamlessly folded into a compact device with a 4.6-inch display at the front. It gives the unprecedented advantage of three-app multitasking with split-screen and is equipped with a special feature of app continuity which facilitates smooth conversion from smaller display to larger and vice versa. Galaxy Fold is the first smartphone ever to have a UFS 3.0 flash storage. It has an impressive hinge system which gives it a sleek appearance. Its hardware specifications include 12GB RAM, 512GB storage. It also includes a Qualcomm Snapdragon 855 processor, dual batteries with 4,380mAh capacity, fingerprint scanner, speakers with sound by AKG and compatibility with both 4G and 5G networks. The Galaxy Fold contains six cameras. A 10MP front camera on the cover display and a dual front camera on the main display (10MP + 8MP). A triple camera set up on the rear (12MP + 12MP telephoto + 16MP) with an ultra-wide angle with dual pixel autofocus, dual Optical image stabilization, and dual aperture. The phone comes in four colors with the option of personalized color on the hinge. Another big debutante and a major contender in the foldable smartphone market is the Huawei Mate X. 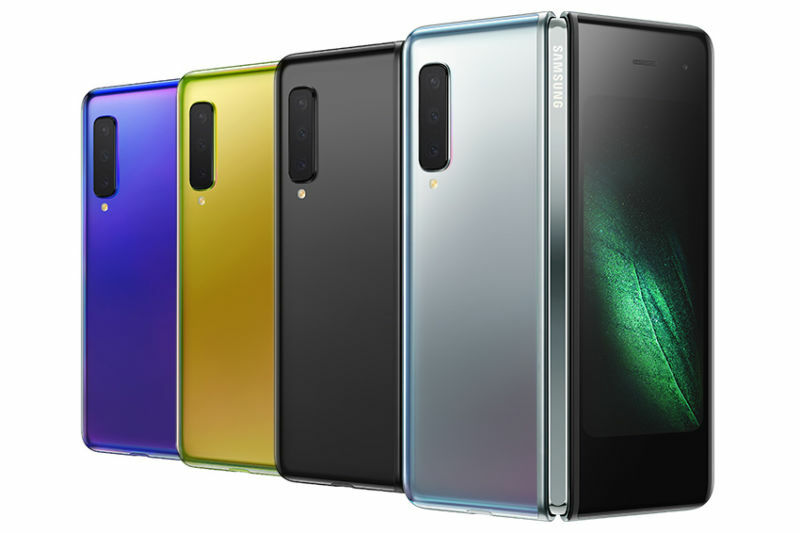 Launched shortly after Galaxy Fold, Mate X provides a 6.60-inch primary display (and 6.30 back display) which expands into an 8.00inch OLED display. 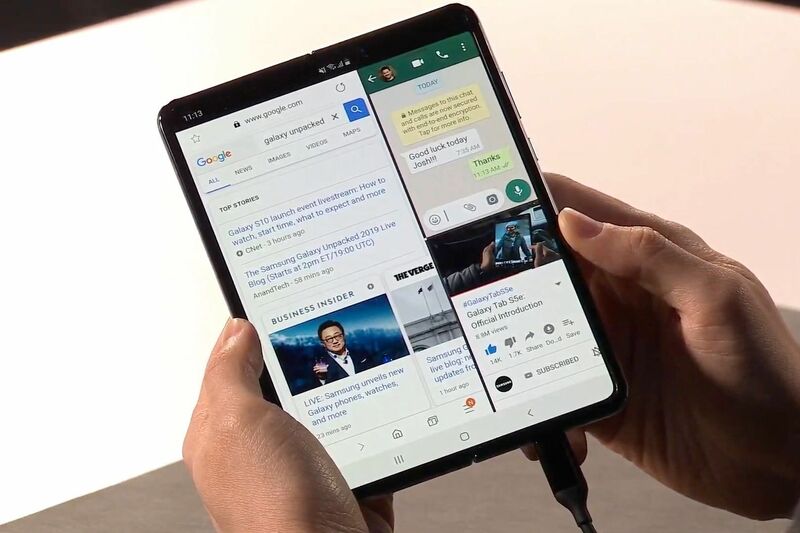 Unlike Galaxy Fold, it folds outward and has a dual-screen display. Huawei Mate X has a 1.8GHz octa-core Silicon Kirin 980 processor. In the camera department, there are three high-quality cameras (40-megapixel + 16-megapixel + 8-megapixel). It comes with 8GB RAM and 512 GB storage. It is only compatible with 5G networks. It comes packed with two battery that jointly offers 4,500mAh of capacity. Its SuperCharge technology delivers 85 percent of power in 30 minutes of charge. The most prominent difference between the two is their folding mechanism. Galaxy Fold folds on the inside like a notebook protecting the screen whenever it is closed whereas the Mate X folds on the outside, thereby keeping the screen always exposed. Also, the latter offers a slightly larger and thinner screen with no camera cutouts and notches. Both phones come with Android 9 Pie, with the Galaxy Fold running Samsung’s One UI while the Mate X running the Huawei EMUI interface. In this regards, Galaxy fold is better since EMUI has been quite quirky with androids. Mate X offers 8 GB RAM while Galaxy Fold offers 12 GB of RAM. The former is a 5G device while the latter comes with both 4G and 5G variants. You get to have wireless charging in Samsung whereas you get the benefit of fast charging in Huawei. In terms of speed and optimization, Galaxy fold is at an advantageous position with its UFS 3.0 flash storage. Galaxy fold has six cameras while Mate X boasts of three but since its cameras are located on the sidebar it has got no camera notches like the Galaxy fold. What’s interesting about Mate X is you can use the rear-facing camera as the front-facing camera. Galaxy Fold will be starting at $1980 whereas, its rival, Mate X will be launched for $2300. Both these phones offer a great cinematic display with a great implementation of technology and numerous benefits and exciting new features. These splendid foldables are just around the corner, waiting to hit the store shelves. With the advent of flexible screens, many eminent brands have given a thought to venture into this new market. Soon foldable phones might even replace tablets. Everyone is eager to have an in-hand experience of this new technology and it will be interesting to see how the customers will respond to this exciting, yet costly, paradigm shift. Summertime serves as a relief from the frost-bitten winter days. Along with summer comes the rapidly escalating temperature and the stifling humidity. It is the perfect opportunity for planning an unforgettable vacation. If you are looking for an escape from the summer heat and the commotion of the city, here is a curated list of top five getaway destinations. From basking in the sun at the beachfront to the riverside camping across the hills, these places will offer you rich experiences that you will cherish for a lifetime. Located below the Matterhorn peak, this alpine town is world-renowned for skiing, hiking, and mountaineering. It offers scenic walks and hikes. 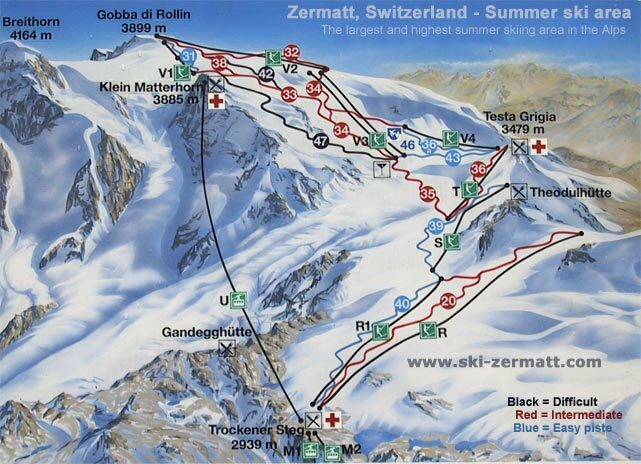 There are 38 peaks over an altitude of 4000m in Zermatt. 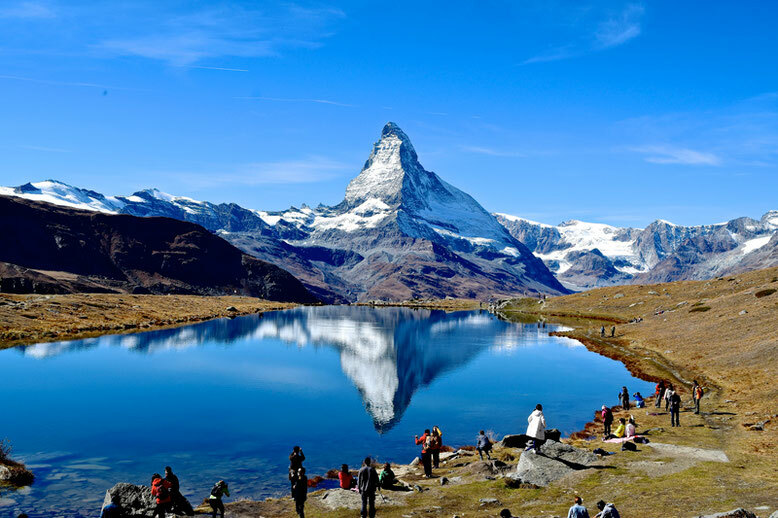 Zermatt boasts as Europe’s highest vantage point and the largest summer-skiing region. Cog railways, ski-lifts and cableways provide a breathtaking view of glaciers, gorges, and peaks. 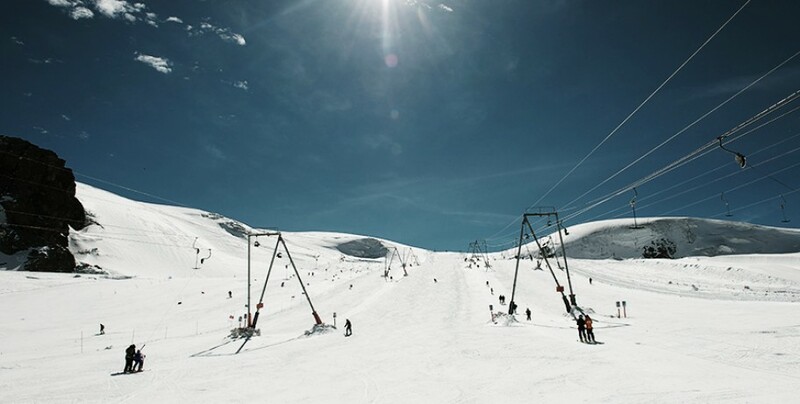 You can easily get a lift-ride to the grand Gornergrat, Klien Matterhorn and Rothorn peaks. It is a car-free zone which is a rare experience in itself. The quiet atmosphere makes the stay more relaxing. The Alpine paths will navigate you through pine-lined forests, frozen lakes, and sapphire-blue glaciers. The exhilarating Alpine tours and panoramic views make Zermatt one of the most attractive tourist destinations in the world. With its emerald green carpet of tea plantations, a wide array of flora and fauna and hilltops covered with mist, Munnar is one of the most staggeringly beautiful places in the Indian subcontinent. 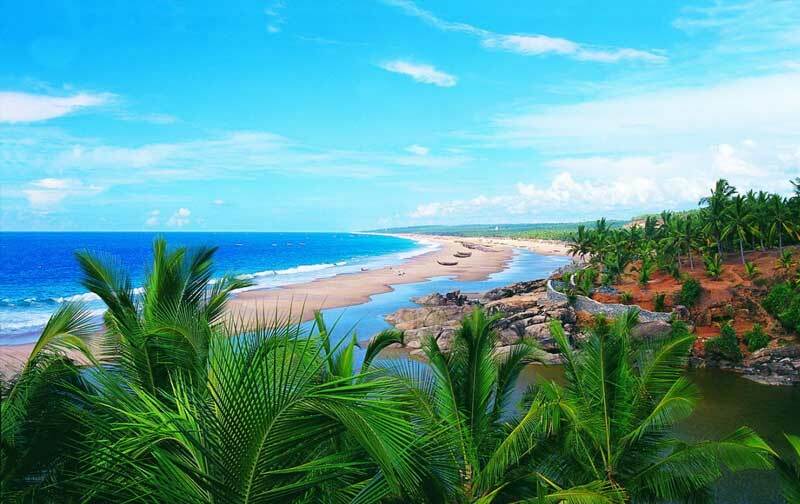 Known as the “Kashmir of South India”, its lush greenery and serenity attract tourists from every corner of the world. It is famous for its waterfalls, peaks, museums, tea estates, national parks, and sanctuaries. The Eravikulam National Park and Nilgiri Tahr harbor several endangered and endemic species. On your trip to Munnar, you can also visit Anamudi, the highest peak in South India. Munnar has many majestic waterfalls – mainly the Lakkam waterfalls, Attukal waterfalls, and Nyayamakad waterfalls. These breathtaking waterfalls add more to its pristine splendor. The subtropical climate is perfect for camping, trekking, mountain biking, rock climbing, watersports, safaris, trout fishing and much more. There are plenty of resorts and hotels available at an affordable price as well, so it won’t burn a hole in your pocket. 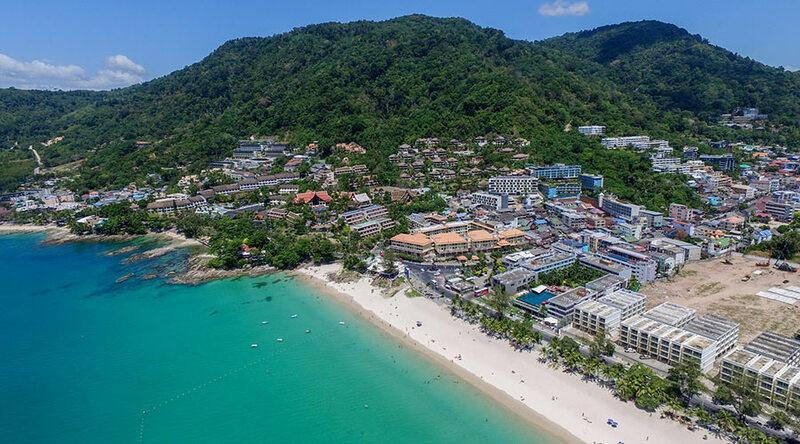 Patong is a prominent resort town located on Phuket. The party capital of Asia provides the perfect summer experience with its crescent beaches lined by palm trees, luxurious hotels, world-class restaurants, nightclubs, and spas. There is a wide array of activities to choose from. These include snorkeling, scuba diving, jet skiing, surfing, sunbathing and kayaking. It is the ideal vacationing spot for luxury shoppers, foodies, and exuberant teenagers. Patong is the most happening place in Thailand. 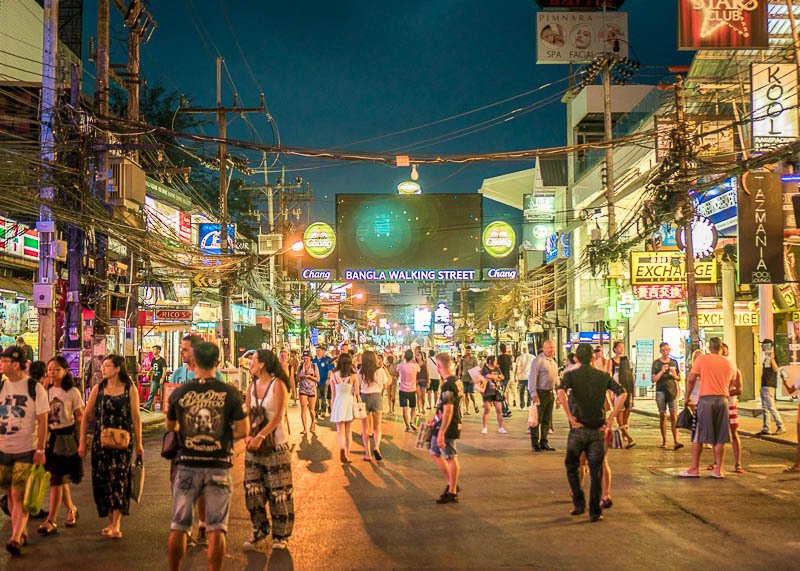 Bangla Road and Paradise Complex hold numerous bars, entertainment complexes, and cabarets that offer great, bustling nightlife. The neon-lit streets perpetually crowded with people keep the city awake even after nightfall. The local restaurants deliver delicious food packed with strong flavor and spice which give you an essence of the exotic East. The port city of Marseille located on a tiny island is the oldest and the second largest city in France. It is a magnificent historical site with glorious museums. The city reflects European culture in all its glory and grandeur. Its fabulous beaches, cliffs, vibrant graffiti, colorful restaurants, marketplaces, and underground bars offer a splendid dynamism to the place. Marseille hosts various cultural events and festivals. The beautifully sculpted buildings and monuments of the multicultural city tell numerous stories of its brutal past. The Old Port, La Plaine, La Joliette and Notre-Dame de la Garde are notable places that ought to be visited. The Old Port is the main harbor of the city. There are many museums holding access to the rich history of the city like MuCEM, The Musee Regards de Province and The Musee de Vieux Marseille. The weather remains pleasant throughout the year making it a great place to spend the vacations. This metropolis is home to the world-famous Disney World, Universal Studios, Ripley’s Believe it or not, Seaworld and Epcot Center. 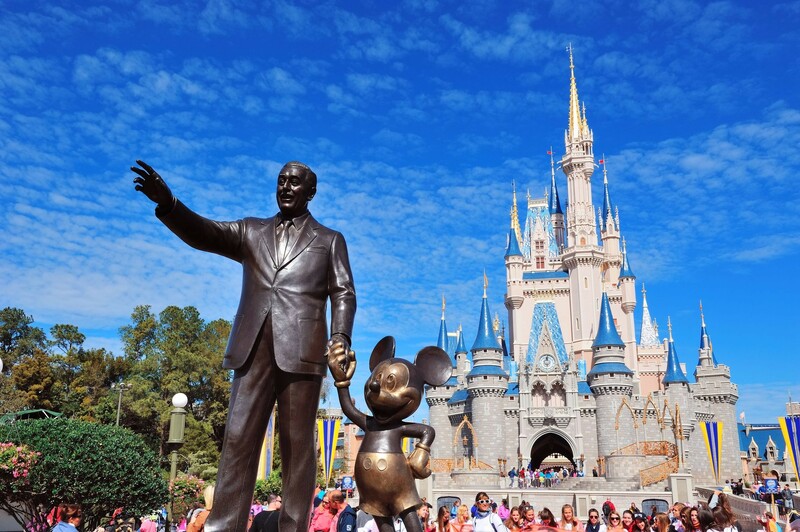 Orlando is known as “The Theme park capital of The World”. It’s the most-visited family destination and caters to 52 million tourists every year. It offers illustrious theme parks, water parks, towering skyscrapers, aquariums, zoos and many attractive tourist attractions for both relaxation and adventure. Madame Tussaud’s has a spectacular assortment of life-like wax statues of celebrities. Other major attractions are Discovery Cove, Gator-land and Medieval Times. Orlando is a great shopping and dining hub with many shopping complexes, marketplaces, fancy restaurants, and a lively/vibrant nightlife. It hosts various festivals and provides fun activities like hot air balloon ride, air-boat tours, skydiving, paragliding, jet skiing etc. So, get ready to spend the coming summer in the most remarkable way! Wipe the sweat off your brows, packs your bags and book a plane ticket to any of the above destinations for a memorable summer. Make the most of your much-anticipated vacations. 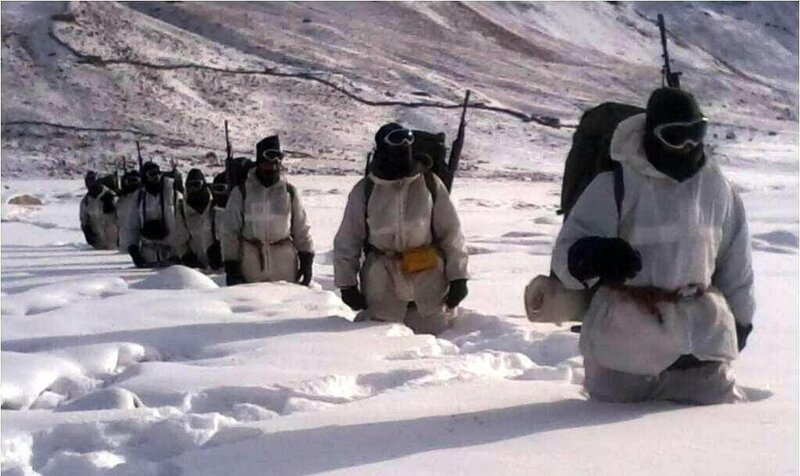 Serving your country in extreme borders, be it 16,000 feet above the sea level or at uncanny temperatures ranging from -50 to 50 degrees Celsius (in snow-covered glaciers or scorching deserts) is certainly bizarre. The Indian Armed Forces work under extreme conditions and face dire situations such as extreme climate, distance from family and even shortage of food/water supplies during certain intense situations. They are required to operate for countless long hours with little or no rest. Despite all the hardships, becoming a soldier and protecting one’s nation selflessly is truly admirable. The Indian Army is further supported by the Indian Coast Guard and the Paramilitary Forces (such as the CRPF). 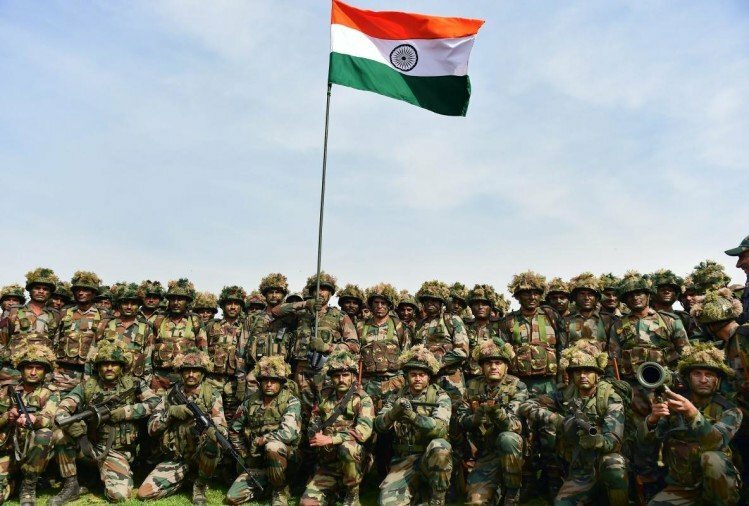 The personnel selected to be a part of the Indian Army are well skilled, regimented and a motivated team of people, handpicked after being weathered for their mental and physical abilities. They are made to go through rigorous training and are forced to think on their feet. They are skilled to make the right decisions under times of distress and one wrong decision may lead to numerous loss of lives. 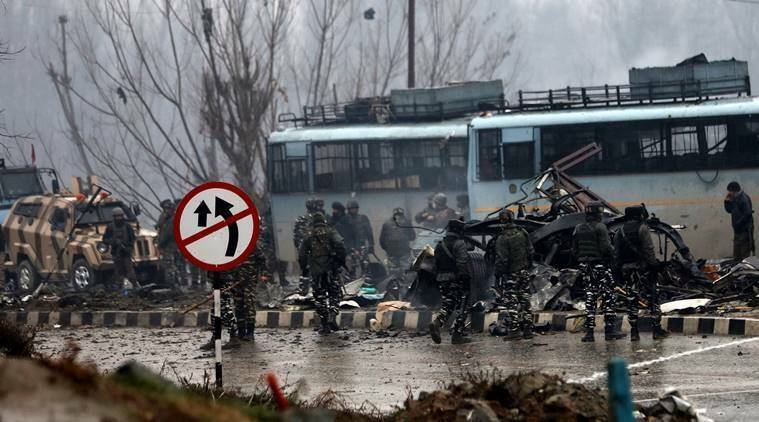 On 14th February, in the Pulwama district of Jammu and Kashmir, a convoy carrying security personnel was attacked by a suicide bomber as he darted the SUV laden with explosives into the bus, resulting in about forty CRPF causalities in the attack. The attack was said to be carried out by Pakistan based jihadist group “Jaish-e-Mohammad”. Pakistan and India have known to have strained military relationships since the time of partition. Pakistan has initiated war on India several times since 1947. Post the Pulwama attack, there is an intense uproar in the nation. Many blatantly hold Pakistan responsible for the Pulwama attack and demand war in the name of revenge. The UN Security Council (UNSC) issued a strong statement that condemned the suicide bombing which identified Jaish-E-Mohammad as the group claiming responsibility. The aftermath of the Pulwama attack caused wrath and anguish amongst the public. Pyres were lit and the nation mourned the martyrs. Many self-proclaimed nationalists demanded war, and even still, some demanded nuclear war while being oblivious to the consequences of sending more soldiers to die in the name of war. Most individuals became a victim of fake news spreading on social media platforms which fueled hyper-nationalism, hatred and even influenced radicalization and social exclusion of Kashmir’s population. 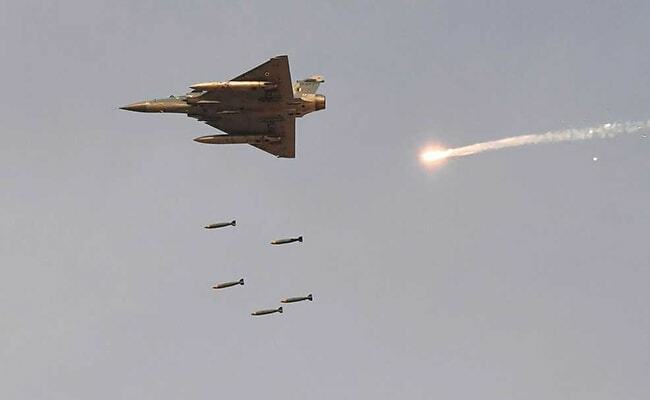 In an early morning strike on 26th February, India responded to the Pulwama attack by dropping precision bombs at terrorist camps in Pakistan (Balakot Camp) using Fighter jets, thereby killing more than 350 terrorists. At the Brink of War? There seems to be a lot of tension between the two neighboring countries. If no measures are taken from either side to resolve the conflicts, a war might just be the around the corner. If a war were to actually take place, under some unfortunate circumstances, it would not only lead to loss of innocent human lives but would also cause depletion of economic, social and political infrastructure. Consequently, demanding ‘blood for blood’ is not a reasonable approach to tackle such intense conflicts. It is indeed very easy to blame a nation or religion while becoming a victim of fake news during the time of a national crisis. Hence, it is crucial to remain informed about the truth in order to have a rational approach about the same. Instead of giving into political propaganda being carried forward by various political parties, it is very important to question the government. In the case of the Pulwama attack, it is in fact, a question of great significance as to how the SUV loaded with explosives was able to penetrate the safe route. How did they manage to breach the security? From where did they get the information about the movement? And how did they manage to sneak in so much explosive? Various trusts such as the Maruti Veer Jawan trust help the families of soldiers who lost their lives fighting bravely for our country. These trusts provide for the education of martyr’s kids, the family’s health and other necessities. Organizations such as WWF, SWO and LAKSHAY foundation not only spread awareness regarding the army but at the same time provide financial aid, medical assistance, and retirement benefits to the members of the armed forces. One might donate to the Bravehearts by using online portals like bharatkeveer.gov.in. It is a government initiative that allows people to donate directly to the families of the Bravehearts. Our soldiers aren’t just combating the nation’s enemies; in addition, they are fighting natural disasters and extreme climatic conditions. And yet, they stand strong, willing to die for the nation’s safety – for our safety. 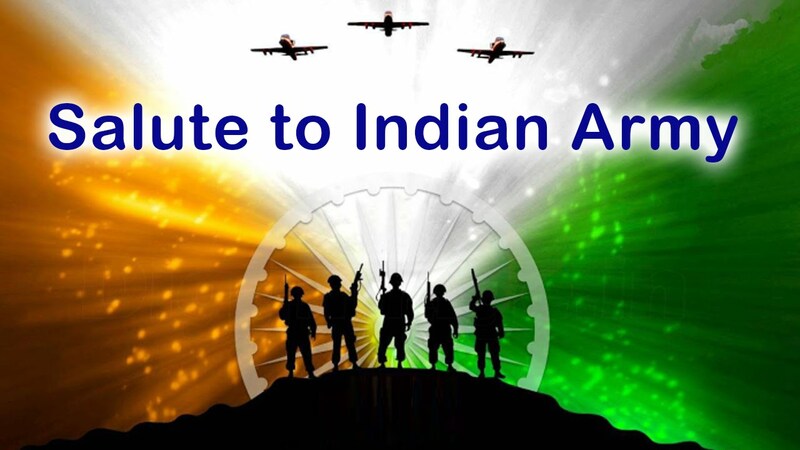 The unconquerable spirit of our armed forces is a matter of great pride and deserves a million salutes. 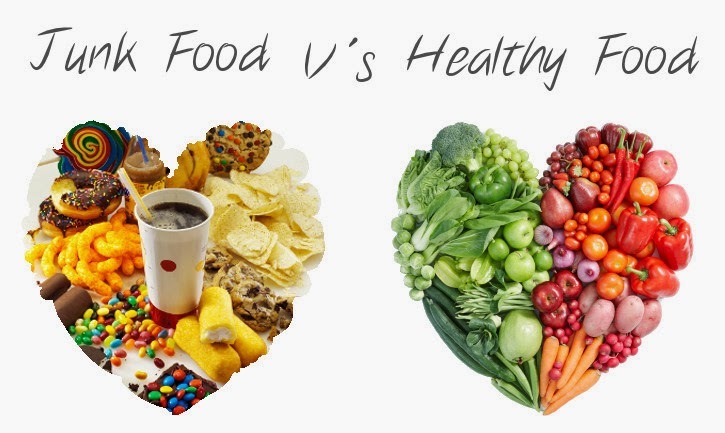 Time and again, the general population have suffered from various health issues due to bad eating habits and a nutrient deficient diet. The advent of fast food eating joints has resulted in people incorporating processed food/fast-food in their diets, thereby leading to severe health problems in the long term. However, there has been a sudden spike in most people being eager to adopt a healthy, organic lifestyle. According to various studies, there have been a massive 30% people increase in people willing to adopt a healthy lifestyle and live on organically produced food and drinks. This is in comparison with a mere 7% of people willing to do the same a decade ago (Demographic – USA). In order to capture the changing lifestyle of people, a lot of health food joints have opened that provide 100% naturally grown and organic food and drinks. This, however, is not cost effective for most of the population and often burns a hole in our pockets and completely shakes up the budget. Thus, in order to complement this growing need, InstaCuppa was born. InstaCuppa was started with the phrase “you are what you drink” in mind. Avoiding processed soft-drinks/beverages and shifting towards healthy, nutrition-rich beverages has become an absolute necessity these days. The sheer amount of sugar and calories in beverages these days can be catastrophic to one’s health. 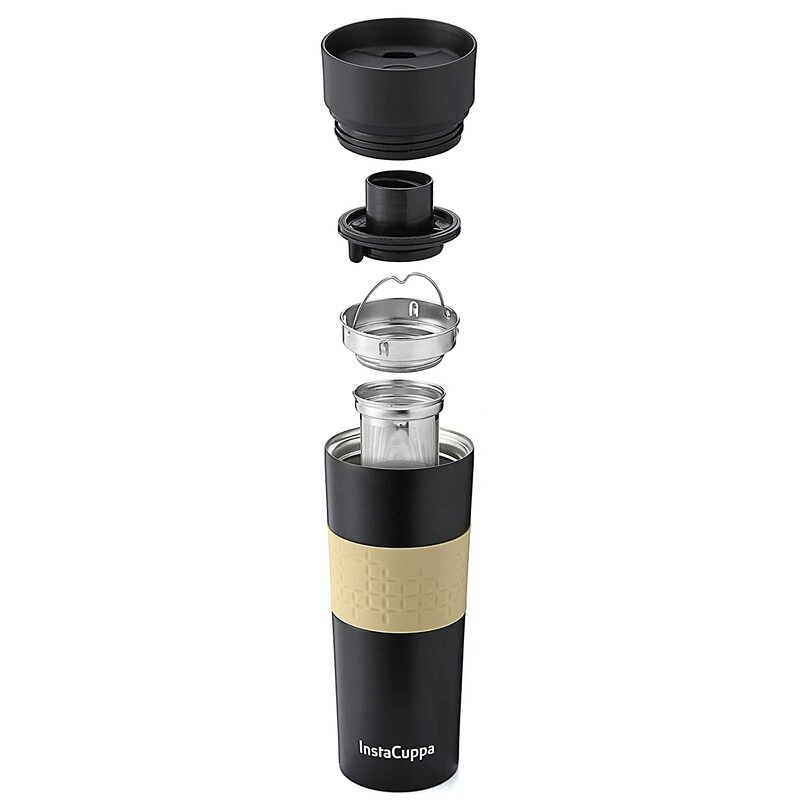 Thus, InstaCuppa brings to you the most ergonomic, lightweight and durable products/accessories that are 100% BPA free. The main aim of coming out with such high-quality products is to revolutionize the way Indian people consumer beverages. 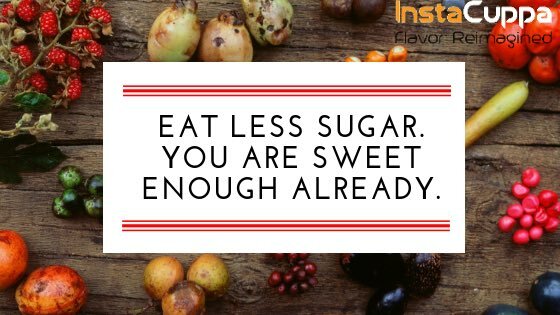 Not only this, but InstaCuppa also educates its customers about the different ways of making their own nutritious health drinks at home for a negligible expense. This promotes healthy-living and doesn’t burn a hole in one’s pocket. 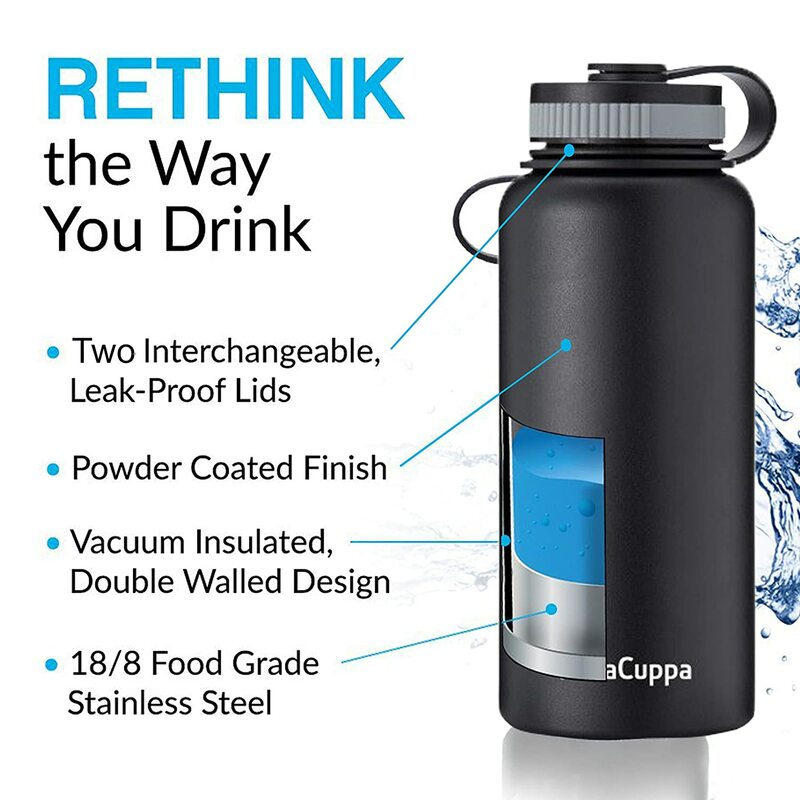 The easy to carry InstaCuppa bottle is a one-of-a-kind infuser bottle that allows you to relish healthy beverages on the go. 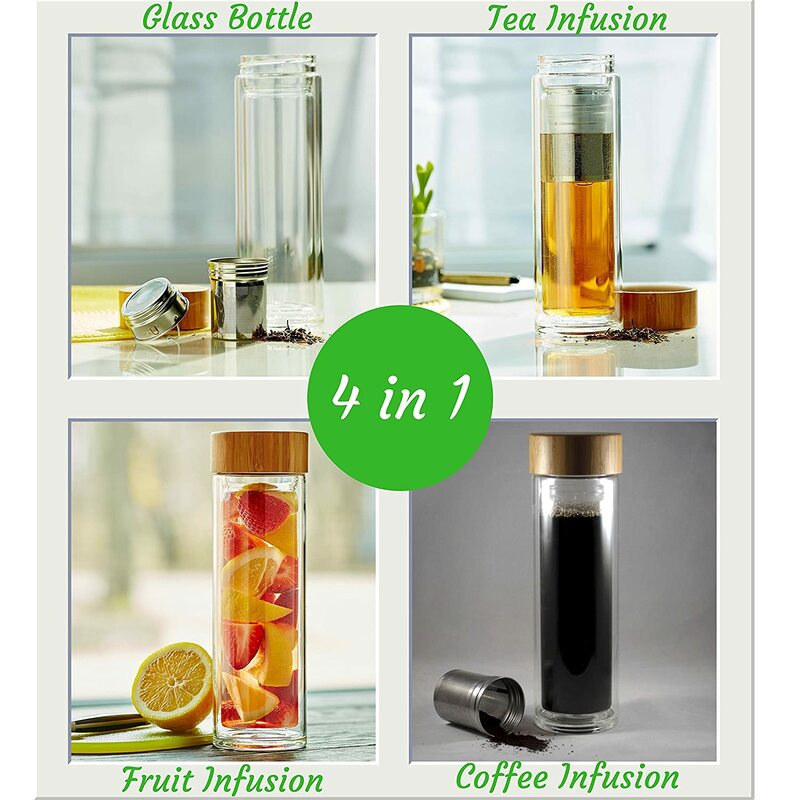 Its unique design boasts about a clever 2-in-1 stainless steel infusion unit that you may use to infuse fruits, vegetables, coffee, and even green tea. The easy to carry, spill-proof and leak-proof bottle come in a powder coated sweat free exterior. 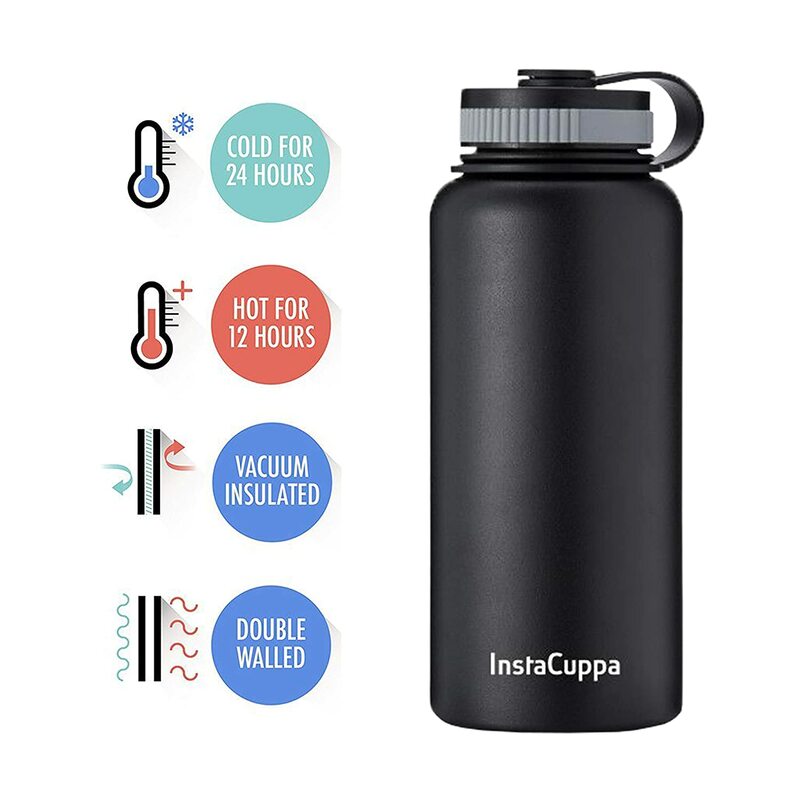 The bottle has a double walled vacuum insulator that will keep your beverage cold for 24 hours and hot for up to 12 hours. Another main feature of this infuser bottle is that it comes in 2 lids. One is the sipper lid which is ideal for gym and sports. The other one is the wide mouther lid that can be used to relish coffee or green tea on the go. Travel with style with the new InstaCuppa Travel Mug. 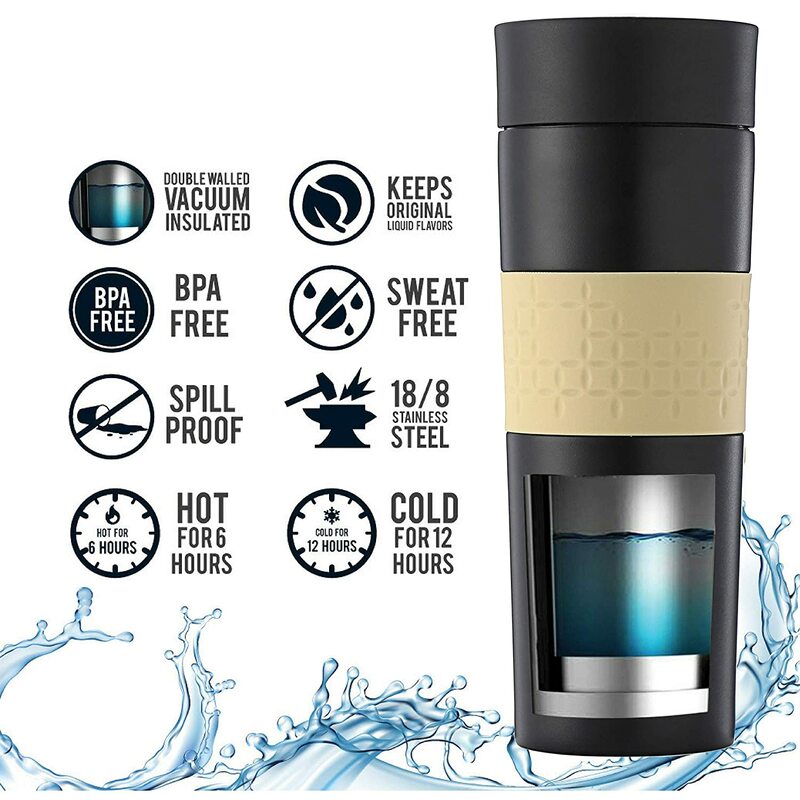 Not only is the mug designed to be spill-proof and leak-proof, but it also comes with a removable stainless-steel infuser. The silicone band in the middle of the body provides its immaculate grip, thereby making it anti-slip. It comes with a one-click open/close sipper lid and is 100% BPA free. The vacuum insulated double-walled design will keep your favorite beverage hot for 6 hours and cold for 12 hours. This is one of InstaCuppa’s flagship products that is revolutionizing the infusion container industry. 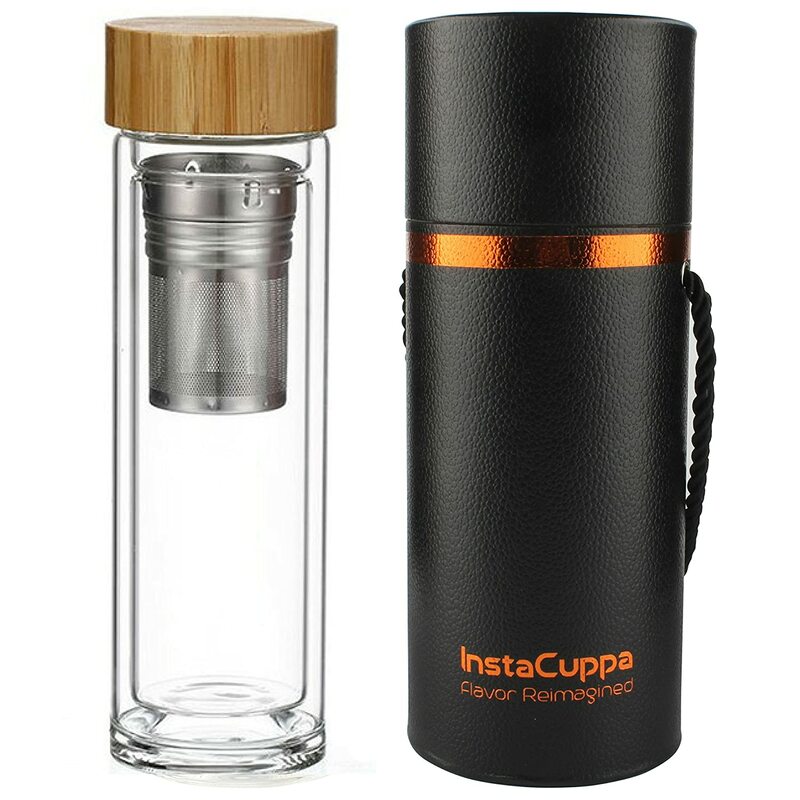 To keep it 100% natural and organic, InstaCuppa went with Eco-Friendly materials to make this infuser bottle. The body is composed of a double-walled borosilicate transparent glass and the lid is finely crafted bamboo. 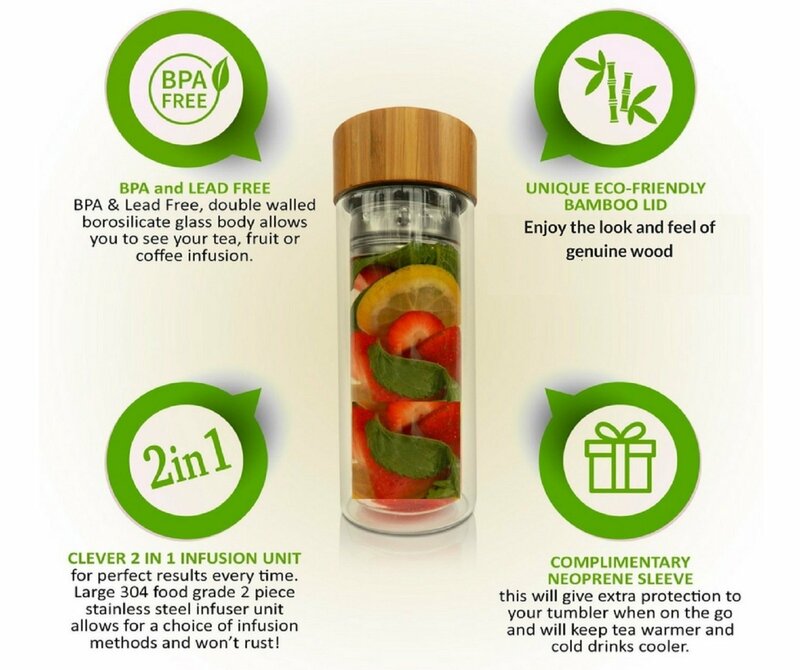 Thu, it is a one-of-a-kind infuser bottle that is lead-free and BPA Free. The infusion unit is made up of stainless steel and no plastic is used in the manufacturing of this product. It is perfect for tea, coffee or fruit infusion. Take out the infusion unit and place tea leaves/coffee in it. Put the infusion unit into the bottle. Pour water into the bottle through the infusion unit. Enjoy your healthy and nutritious beverage. Stay away from processed and sugary soft drinks. Keep yourself hydrated with the right health beverages. Detox your body with the infused green tea. I have already discussed the benefits of incorporating green tea in one’s diet. 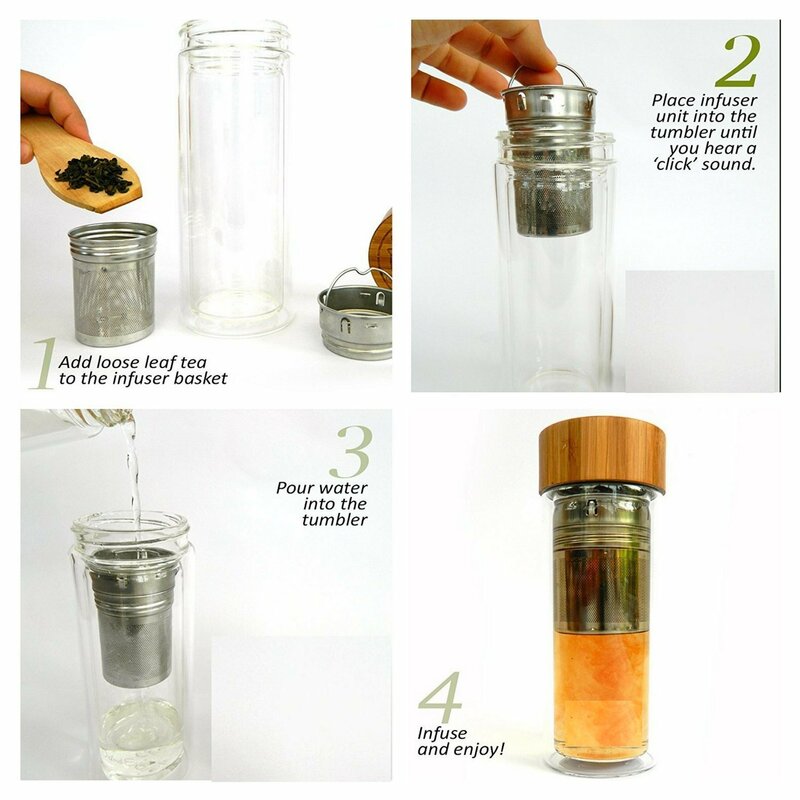 Enjoy home-made nutritious beverages on the go with the InstaCuppa Thermos Infuser Water Bottle. Cut down your calories by incorporating healthy infused drinks in your diet. Keep yourself hydrated the right way. Enjoy delicious unadulterated beverages throughout the day. Start leading a healthy lifestyle and let InstaCuppa help you adopt the new and improved way of healthy living.